The following accessories and cables can make using the AquaCalc easier. All new AquaCalcs come with the Rod Mount which allows your AquaCalc to be mounted to the top-set rod, leaving one hand free. 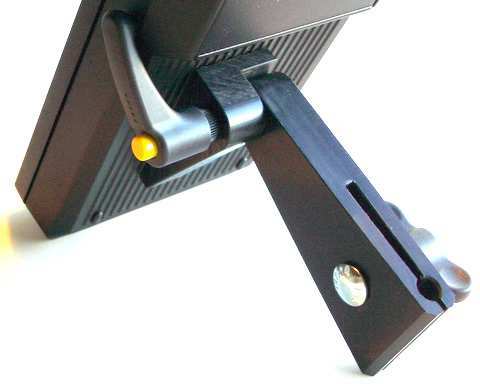 With a Rod Mount, your AquaCalc can pivot up and down for the optimum viewing angle. 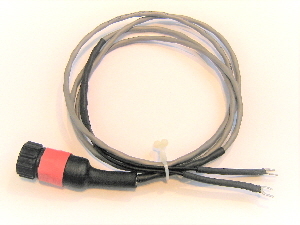 This 4 foot cable has a 1/4 inch female jack to attach to a USGS top set wading rod with a male 11/4 inch plug at the top, and a round AMP connector that attaches to the AquaCalc. This cable comes with each new AquaCalc. 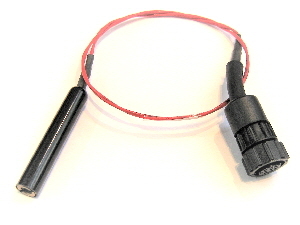 This cable has spade connectors on one end and the round AMP AquaCalc connector on the other. 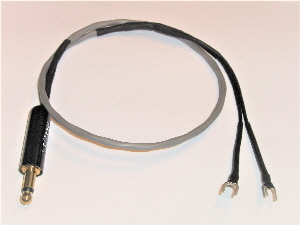 This cable is used to directly connect an AquaCalc to Price AA, Pymy, or other current meters, and bypasses the wiring inside a USGS style top set wading rod. 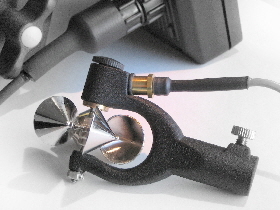 It may be also used to connect to an A-Reel or similar hardware. 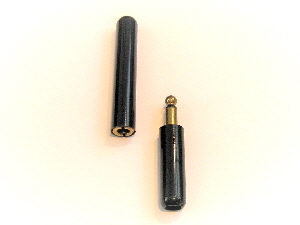 These military specification connectors are used by the USGS to connect the AquaCAlc to wading rods and suspended measurement reels. This retrofit has been designed to replace the “cat whiskers” that come standard on a Pygmy current meter.